The original stone castle at Cardigan is believed to have built in 1171 by The Lord Rhys and is reputed to be the first stone castle erected by a native welsh prince. It occupied the rocky platform above the river and was probably constructed by using stone taken from the rock-cut ditch to build fire-proof ramparts along the edges of the ditch, slopes and crags. The stones of the ramparts were bedded in clay, a technique that was quick and affordable but was of course less robust than using lime mortar. 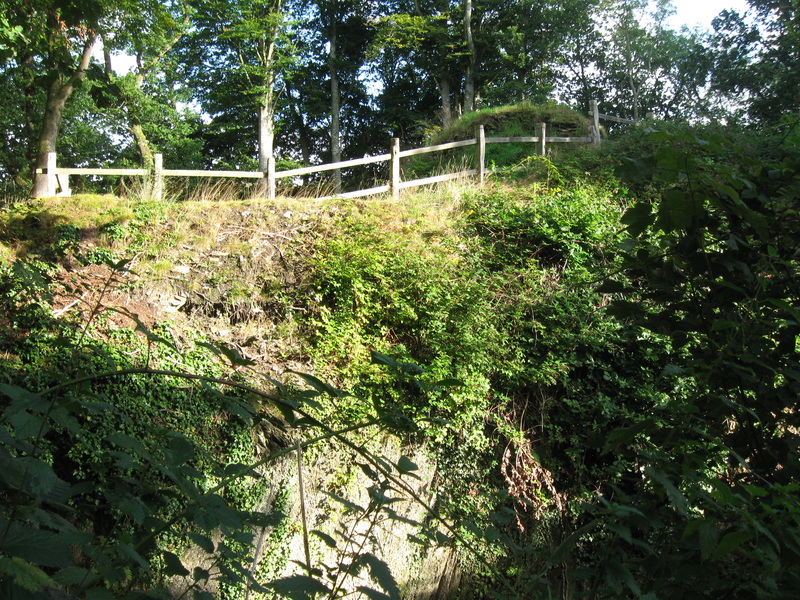 A fragmentary clay-bonded wall can be seen perched above the inner ditch at nearby Nevern castle. 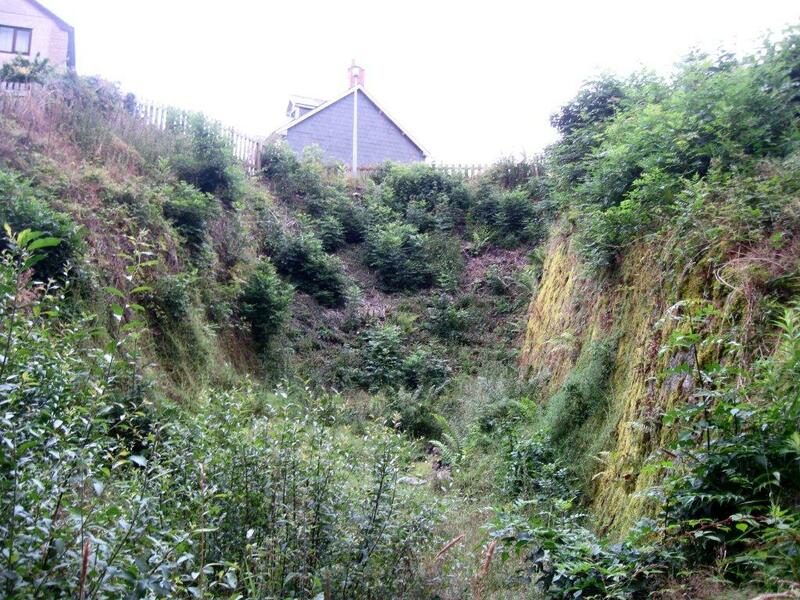 The northern ditch that isolated the enclosure from the rest of the ridge has been back-filled during landscaping but was shown to have been 7 metres wide. The sides of the castle below the walls were probably left as natural rock instead of being revetted with mortared masonry. Encircling ditches of bare rock can be seen at the similar sites of Nevern and Rhayadr castles, neither of which were developed in later years so they retain some of their early features. The northern ditch of Cardigan castle would probably have been similar to this one at Rhayadr, which is also believed to have been built by Rhys ap Tewdwr. The early bailey walls presumably lay in much the same places as the current enclosure but because the castle has been rebuilt, destroyed and then landscaped since Rhys' time, the positions of the early towers, gateway and other buildings are difficult to identify. However, the base of a square tower at the northern end of the enclosure next to the great tower, a curving length of clay-jointed enclosure wall that runs under the garden house near the great tower and masonry footings near the current western entrance have been excavated. Early castle gateways were relatively simple affairs that were often positioned in exposed, easily defended locations. The main gate into Rhys' castle may have been adjacent to the northern tower where it would have been entered via a wooden bridge over the deep rock-cut ditch. A blocked archway in the floor of the later mansion may be of an early date but is perhaps more likely to be an entrance to the basement of the later great tower. Continue with a tour of the second stone castle at Cardigan.